Our Year 5 pupils took part in a Languages event at St Helen and St Katharine school in Abingdon. The theme was Animals and there were performances by several schools in French, German, Spanish and Italian. 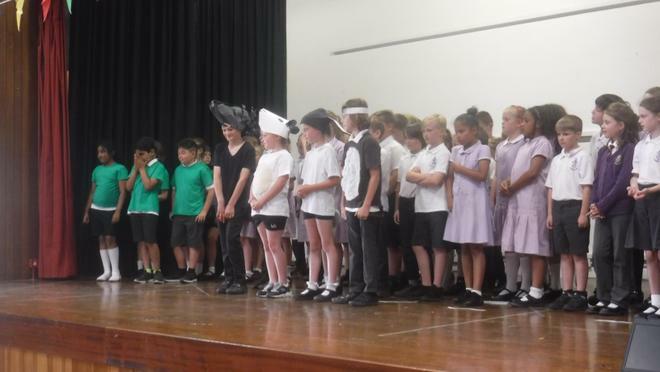 St Nicolas' Year 5s performed a French play called 'Les Quatres Amis', about four animal friends working together to pick a beautiful red apple from a tree. The children put on a fantastic performance. The independent judges chose St Nicolas for the best spoken French and commended our pupils for their French pronunciation, their clear and expressive storytelling and their choral speaking and team work. We were the biggest group by far and the judges recognised that every pupil played an important role. When it came to the overall winners the judges said that they were torn between two schools, St Nicolas and St Helen's! The trophy was won by St Helen's for their Spanish 'Dear Zoo' play, with St Nicolas in second place. This is the first time we have entered this event so it was a lovely surprise to come so close to winning! The children should be very proud of their performance. Thank you to all the staff and parents who helped with the trip. Year 4 learned all about Christmas in Italy with Marta Tricklebank. Reception - Class 1 and 2 - learned about Christmas in Norway and made Pepperkake (cookies) and woven paper Christmas decorations. Reception have also been listening to a Spanish song, from Venezuela, about a donkey going to Bethlehem. Thank you to the parents who have shared their cultures and traditions. 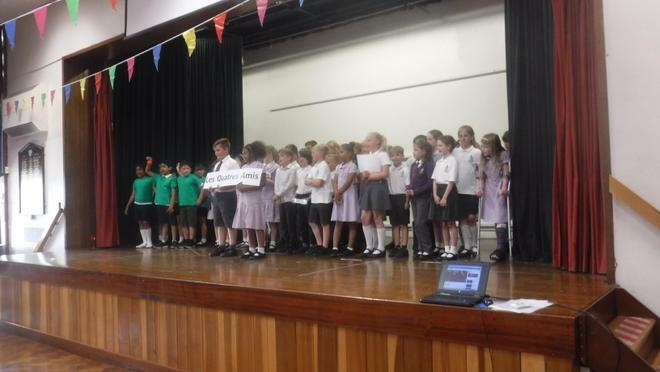 Pupils from years 3 and 4 took part in a Languages event at Fitzharrys school. St Nicolas joined pupils from Fitzharrys, Long Furlong and St Edmund's. We heard songs, plays and stories in French and Spanish. 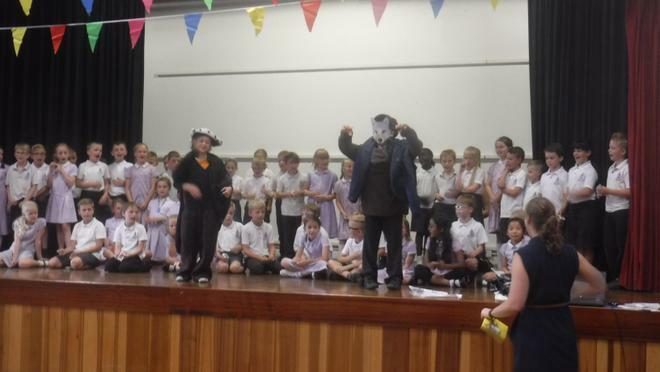 Our Year 4 pupils performed a play about four animal friends called 'Les Quatres Amis'. Pupils in Year 4 learned all about Carnival season in Italy. Mrs Tricklebank talked to the children about the history of the festival, its links to the start of Lent and its traditions, including food, dressing up, masks and decorations. She shared her own childhood memories of the festival too, including some photos! The children tried traditional Carnevale treats, baked by Mrs Tricklebank and her mother and designed their own amazing masks. They also have a quiz to complete about all the traditions. There are some photos displayed in the corridor between the Year 4 classrooms. We celebrated languages today with a range of activities across the school. Classes had visitors and language based activities in the morning and children in KS2 took part in a treasure-hunt style quiz around the playground, finding all the language clues on 10 different posters. In the afternoon we all came together for an assembly. We sang together in a range of languages and some children shared what they had learned during the morning.